We said good-bye to Ipomea at 8 am. We made it in time and flight was nice and smooth. We arrived in Istanbul and it took us about 2 hours to get to the airport. The second airport is much further from Sultanahmet then Ataturk airport. At Blue Istanbul hotel we were told that they will put us into better rooms as the regular rooms are not available. 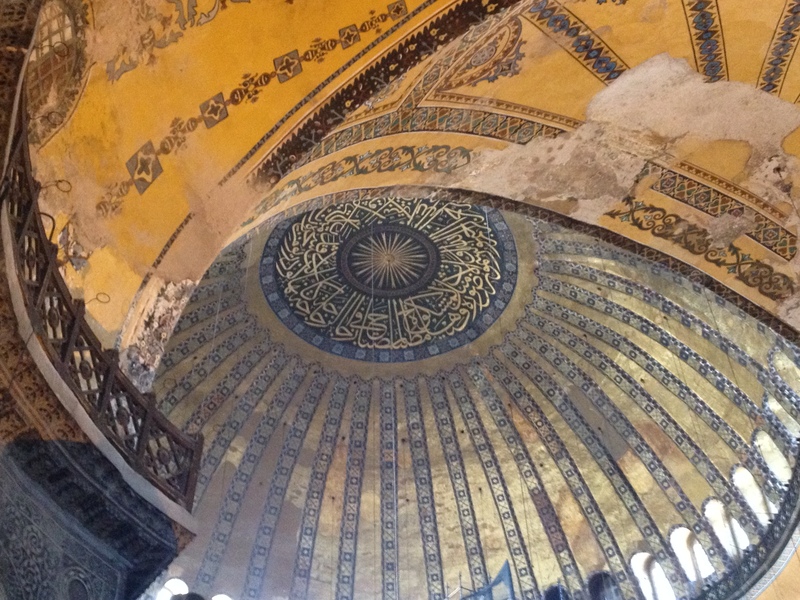 After quick showers we went to Hagia Sophia. I forgot how magnificent and beautiful it is. Guys loved it as well. After Hagia Sophia we walked down a beautiful street along the walls of Topkapi palace. It is lined with amazing flower trees and has a great hookah lounge right before the tram street. 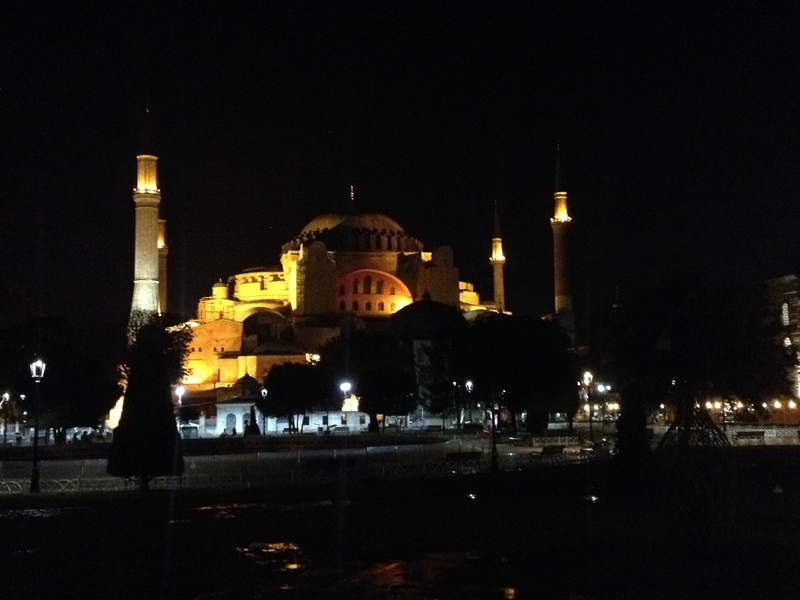 We had dinner at one of the terrace restaurants with the view of Hagia Sophia and Blue Mosque. Even though we had plans to smoke some hookah after, a glass of Raki ensured our straight path to bed. I have to mention some dogs and cats living around Sultanahmet. The dogs are of superb quality despite of being mutts and have their own structured microcosm, which has an interesting integration with the world of felines of the area.